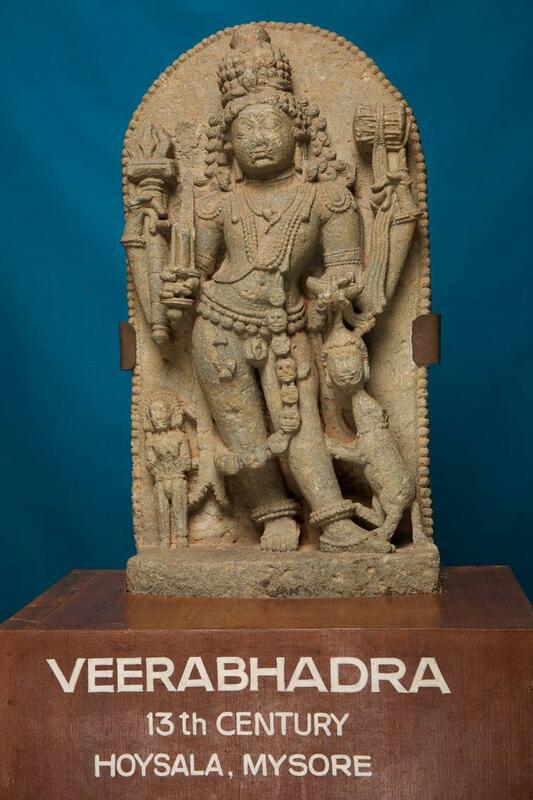 The sculpture of Veerabhadra, the fierce form of Lord Shiva is a treasure among the Museum’s rich artifact collection. This is a four-handed Veerabhadra in Hoysala style. Schist stone is used to make this majestic sculpture.